Colosi Garden Kitchen Marinara Sauce: Quite possibly the best marinara you’ll ever taste. The story of Colosi Garden Kitchen Marinara Sauce began well before the first jar of sauce was filled. With roots that trace back generations to a small village in Sicily, our recipes are inspired by large family gatherings that celebrate life and love of food. Nella mia casa nessuno va affamato – In my house no one goes hungry – was the Colosi welcome to dinner guests who were greeted with a dining table filled with an abundance of food. Made with the freshest ingredients and the perfect balance of herbs and spices, our recipes have reached the highest level of excellence, and are a testament to the wisdom that Ciò che fai, fallo bene – what you do, do it well. Just as taste and texture define the quality of a marinara, we believe that ingredients also matter. Our marinara is gluten free and contains no added sugar or preservatives. 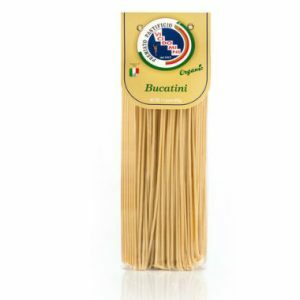 It is made with PA-sourced tomatoes, and U.S.-sourced onion and garlic. It contains no animal products, so it is vegan and vegetarian appropriate. 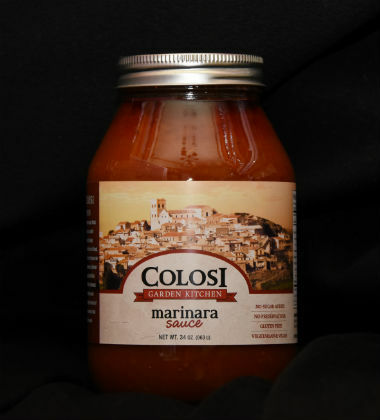 Colosi Marinara Sauce is delicious on top of pasta, served with eggplant or chicken parmesan, or simply served from a bowl with a crusty artisan bread. Each jar contains 32 oz. 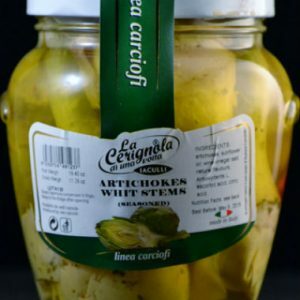 Available online or in-store, Colosi Garden Kitchen Marinara Sauce can be purchased at Stravino’s Italian Market, Saylor’s Gourmet Grocery Store,, and Chestnut Street Seafood, all in the Lehigh Valley. 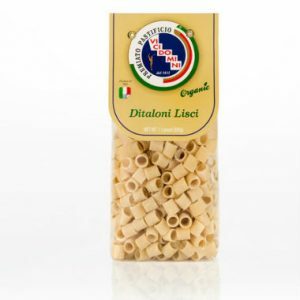 Also available at Rastelli’s Market Fresh on Route 73 South in Marlton, NJ. We can also be found at Castellino’s Italian Market, T&F Farmer’s Pride, and the Italian Market Spice Company, all in Philadelphia. We are also pleased that Lehigh Valley’s best-known and premiere caterer has selected our sauce to use in their recipes.